A seamless transition between from the main living area into an indoor pool. 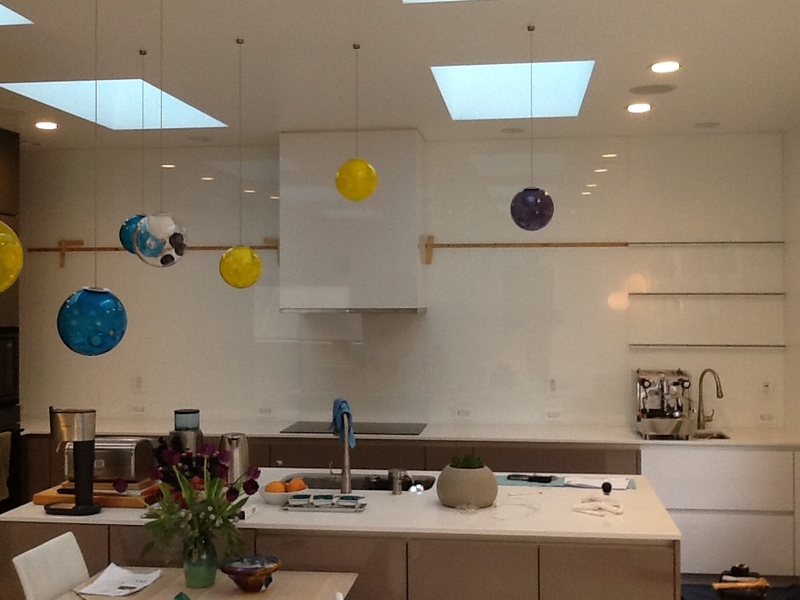 Using an automatic, all glass pocket door we created a invisible door linking two sections of a home in Marin County. The door features keypads with motion sensors. You simply swipe your hand over the sensor to open and close the door. This past week in San Francisco, we installed a unique Bright White painted kitchen backsplash. The product used was starphire tempered glass that is back painted and then sealed. It was installed along the entire kitchen wall, without cutouts and notches for electical outlets, the kitchen hood, 1/2″ thick glass shelves, and other kitchen items. Summer is here, keep the bugs out. It’s time to check your screens.